If you have a teenager, you know that helping them make good dietary choices can be challenging, to say the least. Their food and beverage consumption isn’t under your control as it used to be when they were younger. So even if you only keep healthy options at home, they may still be having lots of unhealthy things when they’re on their own. What they drink is a prime example. You may send them out for the day with a container of water, but at school, at a friend’s house, or at the local fast food place, chances are good that they are drinking something sugary. And according to a new study, rather than choosing soda, they are more likely to be having sports drinks. The study, which was conducted at the Steven and Alexandra Cohen Children’s Medical Center in Lake Success, New York, found that there has been an increase in the overall consumption of sports drinks by teenagers in recent years.1 The results are based on an analysis of data collected from both the 2010 National Youth Physical Activity and Nutrition Survey and the 2015 Youth Risk and Behavior Survey, which were answered by more than 15,000 high school students across the United States. Teens were the focus of the research since they often purchase their own drinks, whereas younger kids do not. In just the five years between the surveys, the investigators noted that consumption rose from 57.6 percent to 59.9 percent of teens having at least one sports drink in the previous week. That may not sound like a huge increase, but it translates to hundreds more kids consuming these beverages weekly within the study, and on a larger scale means it is likely to add up to hundreds of thousands of adolescents nationwide. What’s more, there were plenty of teens who said they had sports drinks considerably more frequently than once a week. Approximately 31 percent of the participants drank one to three sports drinks during the prior week, and around 12 percent consumed four to six of sports drinks. While it wasn’t terribly surprising that the youths who participated in team sports tended to consume at least one sports drink daily, the other group with the highest consumption was surprising. That group consisted of those who reported spending more than two hours a day watching television. But then again, that might not really be shocking, since sports drinks are heavily advertised and frequent TV viewers would therefore have a greater potential to see these commercials and be influenced to try the drinks. In fact, their marketing campaigns are probably an important factor contributing to the increase in the percentage of teens who are choosing sports drinks. After all, they are portrayed as the drink of choice from top athletes such as Kristaps Porzingis and Serena Williams, offering energy and replenishing everything your body needs. 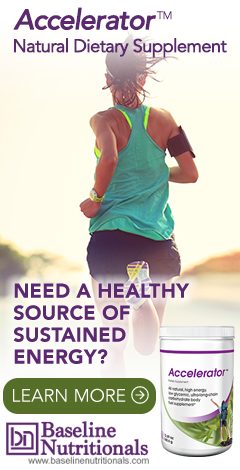 Yes, they can replace electrolytes such as magnesium and potassium in those who have been exercising strenuously for a long period of time but along with that comes quite a bit of sodium, sugar, and empty calories, making them a poor alternative for almost anyone striving to be healthy. Yet their advertising has made sports drinks into an eight billion dollar industry. Other reports show that soda consumption has recently declined among teens; but if sports drinks are becoming their replacement, it is not a healthy trend. It’s important for you as a parent to be aware of how marketing impacts your kids and not only avoid purchasing sports drinks but also make sure your children understand that they are no better than soda. Just like adults, kids should be drinking water instead, even when they are exercising or playing sports. Water will replace the fluids they are losing to sweat, and a nutritious diet will ensure they have an adequate intake of all the vitamins, minerals, and electrolytes they need even when they’re at their most active. 1. Cordrey, Kyla; et al. "Adolescent Consumption of Sports Drinks." Pediatrics. May 2018. Accessed 16 May 2018. http://pediatrics.aappublications.org/content/early/2018/05/03/peds.2017-2784.